If ordering a heart over a city in a different color please select the color for the heart. Home is where the heart is! Show your love of Arizona with this made-to-order vinyl decal! 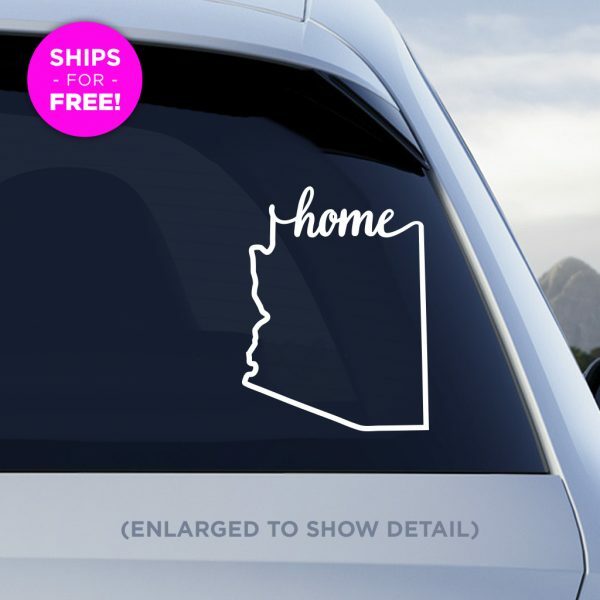 This beautiful vinyl sticker is an outline of the state of Arizona with the words “Home” on the bottom of the outline. 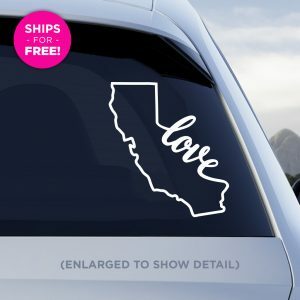 This decal can be placed on any smooth, non-porous surfaces like walls, tumblers, laptop lids, drinking and wine glasses. 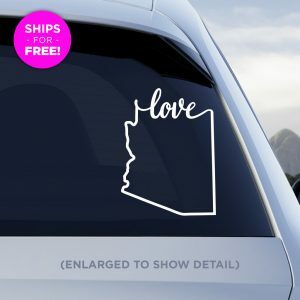 OPTIONAL: Add a heart over your favorite Arizona city! See our example images for placement of the heart over Phoenix. We can put the heart over ANY city, like Tucson, Mesa, Chandler, Scottsdale, Yuma, Tempe, Flagstaff, Glendale, etc. We can also make the heart a different color than the state outline, please make sure and fill out the appropriate fields to get these extra options! Free Shipping (if offered) option does *not* have any tracking capability. If you would like tracking info you must upgrade your shipping to “First Class w/ Tracking”. If you live in an area that has issues with USPS Mail deliveries please upgrade to trackable shipping.